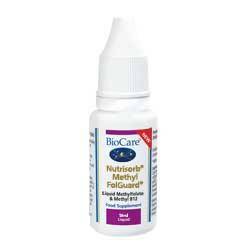 Methyl FolGuard® contains folate as methylfolate or 5-MTHF. 5-MTHF is the natural form of folate found in food such as leafy green vegetables and is already active and ready for the body to use. We use Quatrefolic®, the most advanced form of folate supplementation available, with optimum stability and bioavailability. 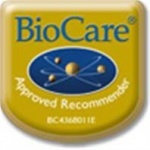 Water, Folate (as Quatrefolic® [(6S)-5-methyltetrahydrofolic acid glucosamine salt]), Vitamin B12 (as Methylcobalamin), Citric Acid, Preservative (Potassium Sorbate).